Say hello to Mickey, Minnie, Donald, Daisy, Goofy, and Pluto! 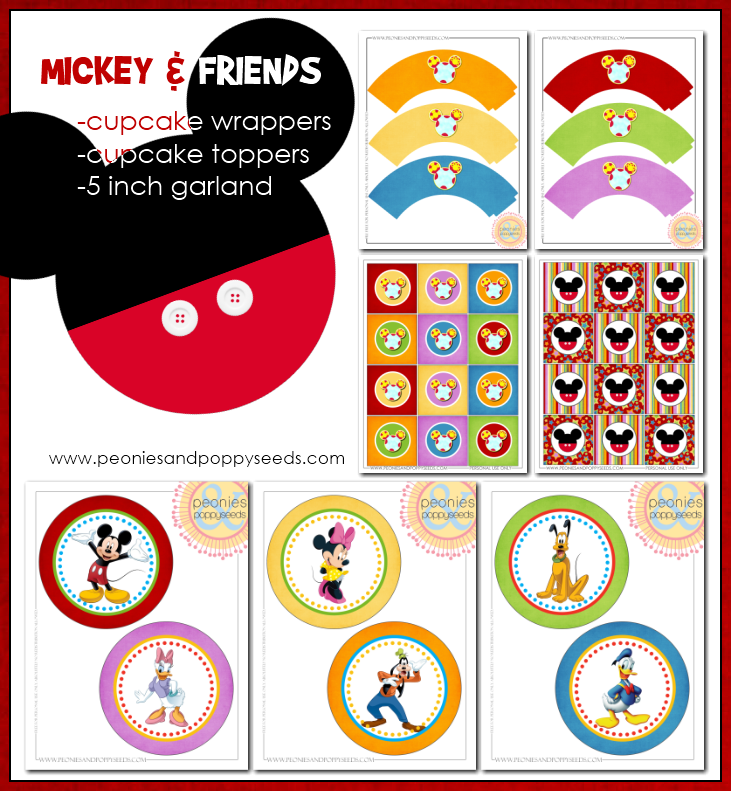 This fun set is perfect for fans of Mickey Mouse and his clubhouse pals. 5 inch circles for garlands or centerpieces!